Very little remains of the wall that once surrounded the precincts of Cartmel Priory...it was mostly destroyed after the dissolution of the monasteries in the mid 1500's. The only secular building remaining is the gatehouse, and possibly some small portions of the walls, running to the North West and North of the town of Cartmel. Above. A view of the gatehouse from the South. 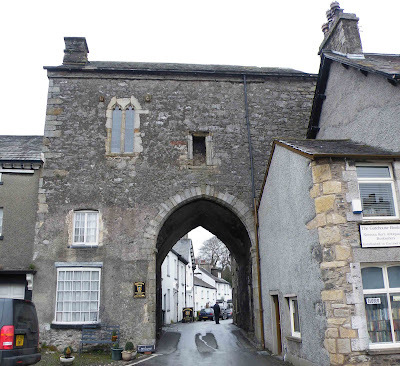 The 14th century gatehouse marks the Southern boundary of the Priory precincts, the walls of which would once have encircled an area of around twenty two acres of land. Above. Looking North up Greenbank Lane. The wall on the right of this photo is built on the line of the precinct wall. It's possible that much of the material in this wall is from the original 14th century wall, although it's been much rebuilt and reduced in height. Above. 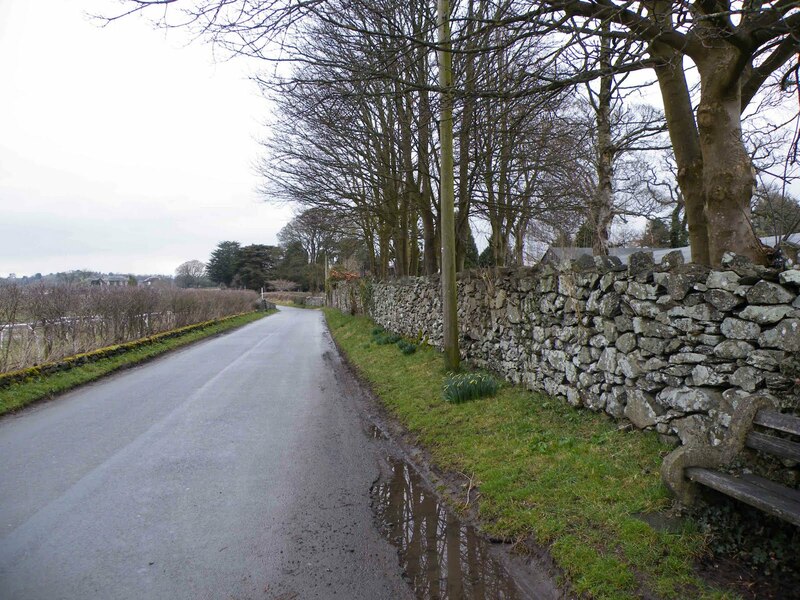 A view of the wall looking South down Greenbank Lane. Here the wall turns East, following the line of the original precinct wall. 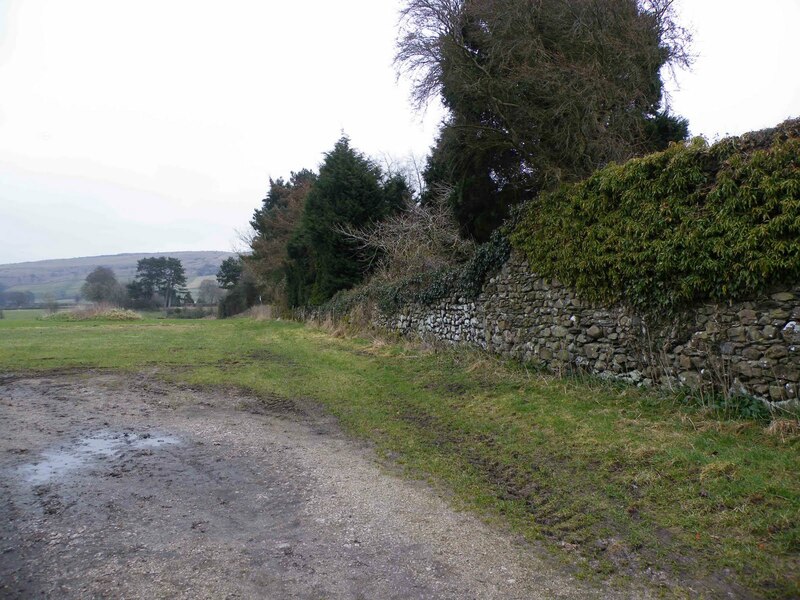 The wall is around fifteen feet high, and continues into the field to the left. Above. 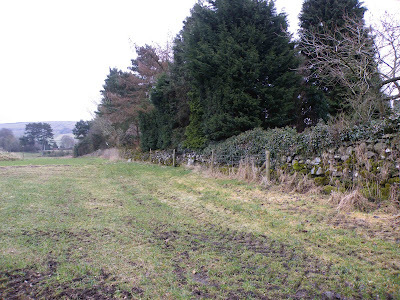 Looking from the field onto Greenbank Lane. In the above photo, two distinct phases of building can be seen. The wall nearest the road, and darker in colour is most likely of more recent build. The wall to the left of the photo, and lighter in colour, may well represent some of the surviving portion of the original 14th century wall. Here the stones are larger and lacking mortar. Above. A view of the wall as it disappears into the field running East off Greenbank Lane. In the above photo, the two phases of building can again be seen. The wall continues into the field, but at a much reduced height. Above. Another view of the wall running East into the field. 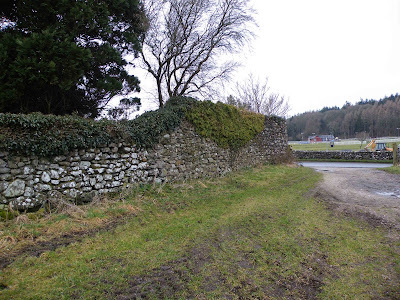 Here the wall stands to around four feet high, and is in a much poorer state of repair. It's possible that this portion of the wall represents the last standing parts of the original 14th century precinct walls.